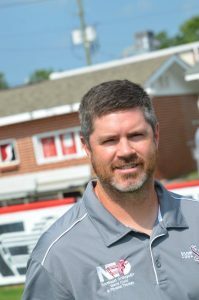 March is National Athletic Training Month….we would like to introduce you to Southside High School’s Certified Athletic Trainer, Chris Clark. Chris graduated from The University of Kentucky with a degree in Kinesiology. 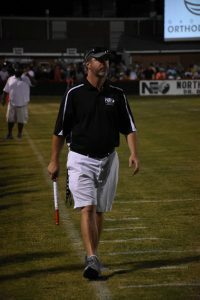 He then received his Masters Degree in Athletic Training from Fuhrman University in Greenville, South Carolina. Chris has worked for over 20 years in both collegiate and high school settings. He has been with us at Southside since 2005. Chris works in the clinical setting part of the week at Northeast Orthopedics, and is on campus at Southside at 2:00 until he has seen his last athlete. 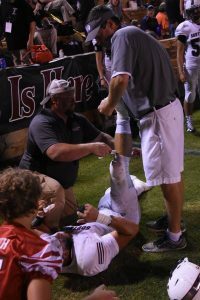 He is at every home game, & practices to assist with injuries, and preventative therapy such as taping and icing pre-game. He is an adjunct professor at JSU, and currently completing his Doctoral Degree in Health Sciences from The University of St. Augustine. 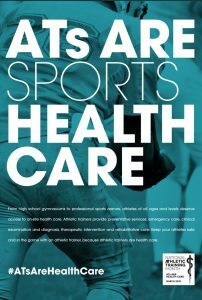 He attends yearly national and state conferences for areas of sports injuries including, but not limited to ACL repair and recovery, youth concussion, dehydration, shoulder injuries, etc…. 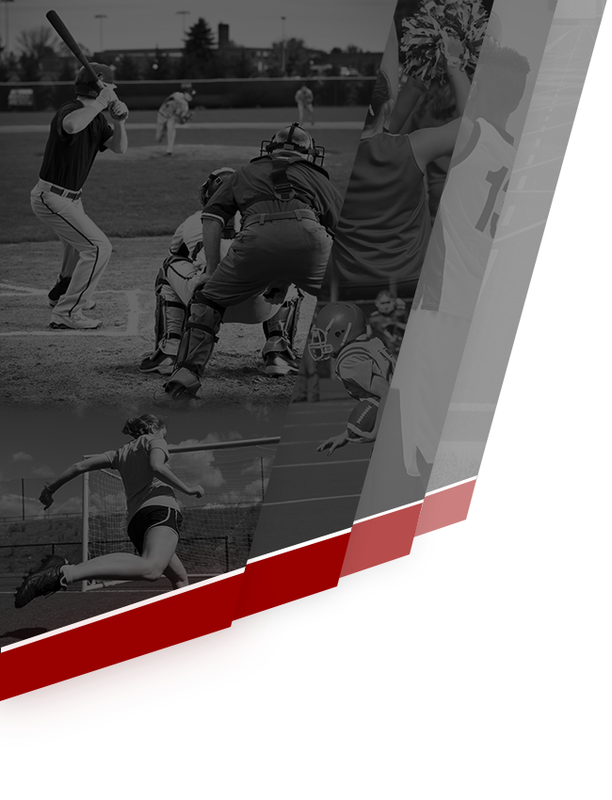 His coworkers and doctors also provide an annual Etowah County Coaches Medical Symposium, providing our coaches with the most current research and topics related to sports injuries, recovery, prevention, and training them with an emergency action plan. Chris is also a certified CPR instructor. 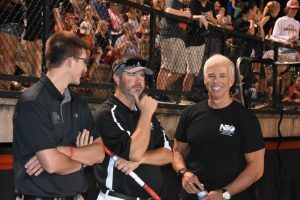 Over the years Chris has worked with hundreds of coaches and athletes. His services include onsite healthcare through our training room located at our athletic facility, physical therapy rehab, preventative healthcare, emergency care, he assists with clinical examinations and diagnosis, he serves as a liaison between dr/surgeons, physical therapists, and parents to ensure his athletes are receiving the best care possible to get them back in the game! Athletic Director Angie Sanders and Chris also piloted the new Dragonfly Electronic Athlete Centered Health Records System, along with Hoover and Vestavia last year, which will be an AHSAA requirement in the future. Angie and Chris led a PD session for ECBOE admin and coaches this past fall. Chris can also be seen around the community as he and his family live here and attend school in Southside! SHS is fortunate to have Chris and we appreciate the service he provides for our athletes! 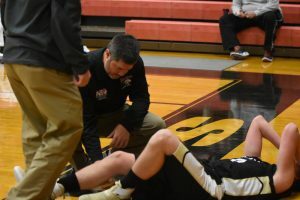 Many of our student athlete alumni developed an interest in the field of sports medicine as a result of working with Chris during their time at SHS. 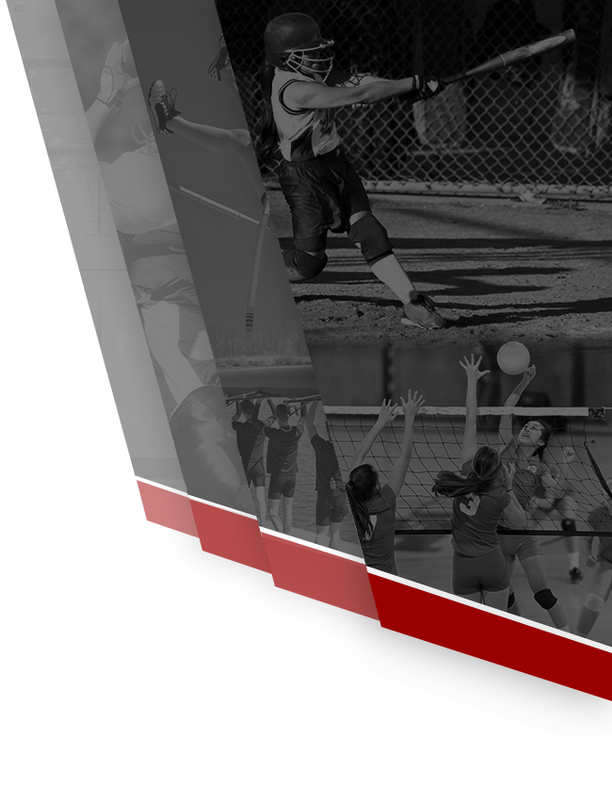 They are attending college to be PT’s PTA’s, Medical Doctors, Athletic Trainers, etc…. 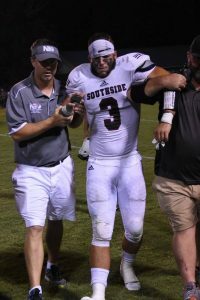 We would also like to give a Southside Welcome to new NEO employee Logan Osborne, who is also a certified athletic trainer. He is from Iowa, and graduated from Central College. He lives in Rainbow City and has loved being a part of our Panther Nation this past year! Logan assists Chris at RMS and SHS athletic events.